A clear objective, good governance and a shrewd business sense are required to script success. Family offices, or FOs, are becoming increasingly popular. These are primarily set up to preserve family fortunes, but they also focus on non-financial goals such as education or philanthropy. However, there must be a clearly defined objective for setting up a family office, and the entire family should be aligned with it. Globally, family offices are set up by ultra-high-net-worth families with an investible corpus of $250 million (Rs 1,664 crore) or more. In India, this amount could start from Rs 100 crore. A Single Family Office, or SFO, can be set up to look after the assets of one family, and the financial goals would include evaluating investment avenues and monitoring investments and cash flows. An SFO could be run by a member of the family or by a professional CEO. Having a family member at the helm would probably ensure greater control over investments, but the people involved need to consider whether the family member is the best person for this task. Consequently, the family member is often assisted by a team of professionals or he/she supervises a professional or a team. Things work out well when the entire family is united for a purpose, and the SFO reflects this unity of purpose in its investments policies. It could also prevent conflicts due to disagreements on investment choices. After all, the risk-return trade-off is an area of much debate and concern as the perspective varies widely from person to person. Sometimes, a founding family may want to extend its expertise to other families and start managing their funds, leading to a multi-family office (MFO). MFOs are also set up by professionals or banks with one family as the key client. Having multiple families on board means an increase in investible funds, making it easier to hire more qualified fund managers and staff. Even then, the costs would be lower than those incurred in case of an SFO. Some international MFOs allow its clients to "pay on usage" so that families can customise the tasks, depending on their requirements. I have seen multiple families using different options ranging from setting up SFOs to a family member monitoring the funds invested with an external fund manager. Most family offices are either driven by outcomes or by processes. Outcomes mean their performance is evaluated against agreed-upon benchmarks. Reaching the benchmark may not be mandatory if a family member is running the show. But in those cases, there will be strict adherence to processes to ensure transparency and inclusiveness. All decisions must be approved by a family council, and there could be no deviation from this norm. Trust can quickly disintegrate if a family member hijacks investments or they are hidden from other members of the family. Confidentiality is another crucial factor. Understandably, high-net-worth families want to keep all financial information away from the public domain. But there could be a conflict between confidentiality of investments made and the access to information that a family or a family member may have over others, depending on the role and control of the founding family over the MFO (and therefore, having free access to all confidential information). Governance issues could arise if an MFO is run by a member of the founding family. Most of the large MFOs overcome these challenges by hiring a team of professionals who will be bound to uphold the norms and maintain confidentiality. Investment non-disclosures may also cause a rift among family members. In one such case, the patriarch did not disclose his investments to the next generation, assuming it might impact their industriousness. When the issue was raised by the family, the patriarch shared the information with me, with strict instructions that it was not to be shared with other members of the family. On the other hand, family offices adhering to well-defined processes can easily avoid these issues. For instance, a top business family shares its investment portfolio with the family council every year. The funds are invested with a couple of fund managers, and other investments directly done by the SFO must be approved by the family council first. Manning the ship is not an easy task, though, as a family office manager must balance the needs of each distinct family member and work towards the goal. Keeping these operations away from the main business also makes sense. If business managers wear dual hats, it may lead to governance issues apart from a conflict of interest (for example, should the family consider investing in a rival group company). Time commitment and the role/power of the FO head also play a crucial part. A family member who is actively involved in the family business may not have adequate time to run the set-up. Then again, if he holds a lot of power, he can pretty much do what he wants to do and keep the rest of the family in the dark. So, it is better to appoint a professional to run the show, especially when large-sized dynamic or complex portfolios are to be managed. Another way to maximise efficiency is to get help from a panel of external advisors. There are investment advisors who work on different investment types (equities, real estate, art and so on), tax and legal advisors, and also family advisors who could be external members of the family council, helping them take crucial decisions and resolving issues quickly. To have a trusted external person is important as it brings an independent perspective. Goals could be both financial and non-financial. Financial goals primarily include wealth creation and preservation, asset monitoring and generating a steady income to fund the family's lifestyle and ensure their financial independence, all done in the most tax-efficient manner. Apart from usual investments in funds and incomes from the family's equity stake in group companies, equity portfolio and real estate portfolio, family offices have started investing in private equity and venture funds or even start-ups. An SFO has a huge investment in residential apartments in the US where it monitors all rental incomes and manages the real estate portfolio. Non-financial goals seek to preserve family values and legacies, maintain family relationships, build trust, and encourage family education and family unity. If the non-financial objectives become the primary focus, the family may prefer to invest conservatively and settle for lower returns. Family offices are also getting more involved in philanthropy. Most families I have met are serving the unserved, either by providing education or through some sustainable projects. Fund size: The size of the fund should determine how a family office should be run. The underlying assumption is that administrative costs should not be prohibitive to remove any benefit. It may be advisable to place smaller funds with an investment house fund manager. Also, aspirations and visions are better handled at the family level when the family is small. As the family size increases, the aspirations of various members are bound to vary. 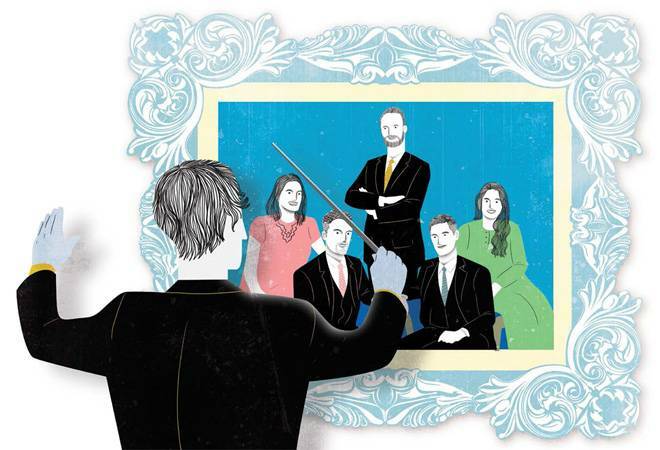 If the vision is not aligned, the family office may find it difficult to operate. Holding discussions at the family council level may address some of these concerns. Global operations: As most families are increasingly present in multiple countries, family offices should be prepared to operate across geographies. New and complex investments: As investment opportunities evolve and grow, they become more complex such as you find in blockchain and cryptocurrencies. Families should seek the help of qualified advisors in such areas. If a family wants to invest in start-ups, it should have the capability to evaluate ventures. Technology: Family offices should be aware of the latest technology that can impact their businesses. For instance, some investment professionals are using robo-advisors on a trial basis, and it will become increasingly significant. Given that a family office helps educate the family members, it should have a fair understanding of the fast-evolving artificial intelligence, financial technologies and the likes. Another critical area should be data and online security of the family members. Philanthropy: As families are focussing more on bigger deliverables and realistic outcomes, family offices should have the expertise and the experience to guide them.